M. Cornell Importers sells a wide selection of wooden urns, from small to large, plain to ornate. 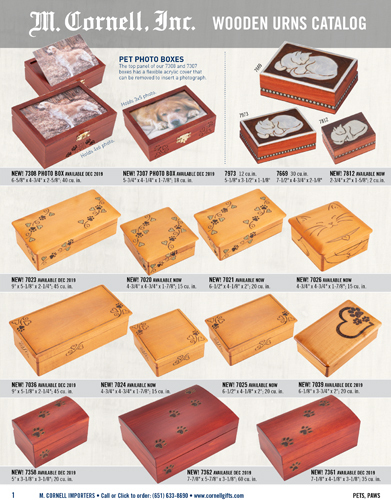 Click HERE to download a PDF version of our latest Wooden Urns catalog. You may also contact customer service via email, info@cornellgifts.com, or by calling (651) 633-8690 to request a hard copy catalog in the mail.